The Academy revealed today that two-time Oscar-nominee Bette Midler will perform on the 91st Academy Awards. The Tony, Emmy and Grammy winner will step in for Emily Blunt to sing the nominated song “The Place Where Lost Things Go” from “Mary Poppins Returns.” Midler revealed the news on twitter this afternoon after it was leaked to Variety.So, (drum roll) Ladies and Gentlemen, I will be chanteusing (that’s singing) on the Oscars on Feb 24…the nominated song from “Mary Poppins”…”The Place Where Lost Things Go” …so excited! 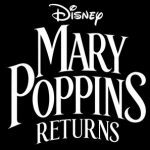 !Continue reading Bette Midler Will Perform ‘Mary Poppins Returns’ Nominated Song On Oscars at The Playlist.